Being aware of, thinking about, and understanding these trends will help you stay ahead in the new year. It will lead you to innovate and grab new opportunities. For organic social media marketing, 2016 was a year to forget. The organic opportunities have continued to decline and paid continued to get increasingly necessary if you’re looking for reach. Will 2017 be a better year? All signs point to a continuous decline of the organic opportunities. The main culprits for the decrease of reach are the algorithms that social media companies use to determine which content gets seen and which doesn’t. Instagram and Twitter have both introduced algorithms this year (as we discussed in our trends to watch for in 2016) which were bad news for organic reach too. In 2017 you should continue to focus on the creation of great content that gets shared and gets people to take action that you want them to take. Then it’s optional if you’d like to supplement the content with paid advertising to get the word out and gain traction. The power of users sharing something is all-encompassing and is key to get the word out. 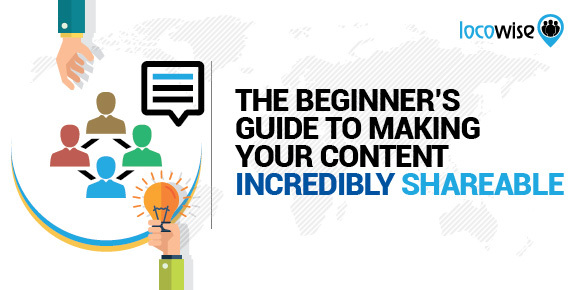 Whatever content you publish make sure it is something your audience wants to share. Just spending thousands of dollars on promoting a bad piece of content will get you more reach but will not result in many conversions. Those who do this will never recover the budget spent and the ROI will be non-existent. What did amazing content look like in the year 2016? It was well-made video. Facebook pushed video a lot (even paying many companies and celebrities to post live video frequently) and live streaming had a breakthrough year on the platform. 360-degree videos and virtual reality technology are here too, and there are some great examples of successful campaigns, but the big breakthrough to mainstream will have to wait a bit more. Facebook, Instagram and other social media companies prefer the users to stay on their platforms and spend time there. They don’t want users to simply click on links and leave to spend time on your company website or your app. It’s getting increasingly difficult to attract any organic traffic from social media platforms and this will continue in the next year. This means that an increasing amount of content published by brands will simply live in the social media only. Corporate websites and apps will become less significant and companies will lose a lot of control and will need better ways of measuring return on investment. Smart brands will have to think carefully about how to approach their marketing and survive in the new age. With all the organic challenges described above, one of the best ways to go is to use influencers to promote your brand and your content. We expect influencer marketing to continue to grow and become an even more established part of the marketing strategy. With the increased popularity will come more structure too. 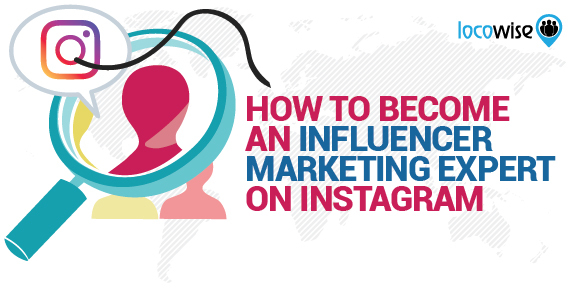 Currently many brands try influencer marketing and go wrong with this approach as it’s not easy to find effective and actually “influential” influencers. More data and information will help when picking the right influencers, in analyzing the results from influencer campaigns, and in actually delivering some ROI. Companies are losing contact with the customer on social media. Younger generations are increasingly tuning out from the traditional public social media channels such as Facebook. They’re moving to more private channels such as messaging apps. The ideal channel for connecting with the young generation are the messenger apps such as WhatsApp and Snapchat. Many companies have started exploring the messenger opportunity with customer service on the verge of being changed forever. Becoming very active in the messenger space as a brand is not as easy as simply starting a Facebook page, so it will still take a bit of time before we see mainstream activation. This is a more intimate and private way of communicating and it’s a challenge for brands compared to the traditional one-to-many marketing broadcasts that everyone is used to on the “public” social media. So how do the brands deal with an increasing need for one-on-one direct conversations on messenger apps? 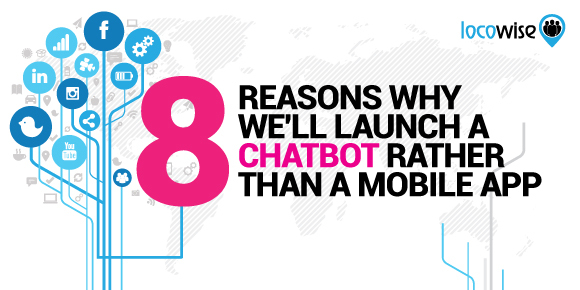 They try to find a way to automate the process whenever possible and this is the reason for the growth of chatbots. It’s a tracking challenge too as engagement that used to happen on public pages and profiles (and social data that used to follow with it) is now increasingly going “dark” and is difficult to track. 2017 will see much more development in the messenger space, and marketers are hoping that the platforms will share a lot of the currently private data. The decrease of organic opportunities is the main reason for brands being on an aimless hunt for every new shiny app and platform. In early days in a life of a new platform, the organic opportunities are plenty. If you get yourself established early you can use the growth of a platform to grow organically too. 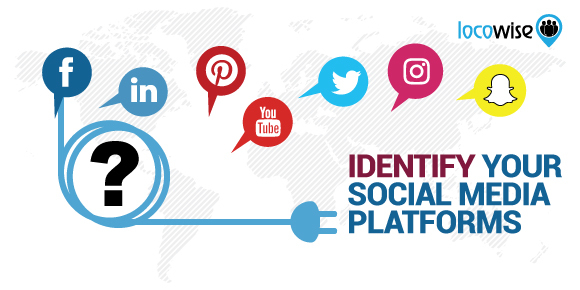 Every new platform also brings a new set of popular faces who establish themselves thanks to the explosive growth and hype around this new platform. The brands are hoping to ride the wave but picking the right platform and being there at the right time is very resource demanding and luck plays a big part too. 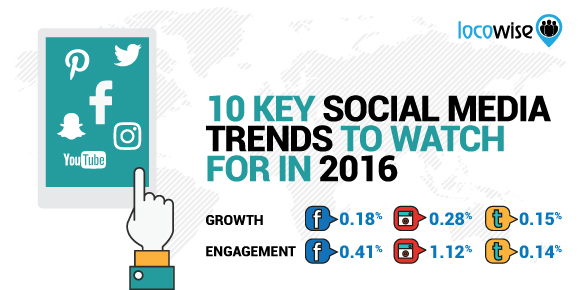 Social media is reaching maturity and is now a well-established channel in most companies. It’s not a new thing anymore. There’s structure in place and brands are centralizing the activities. Content strategists, blog writers, community managers, data analysts, and media buyers all work together as part of one and the same social media team. This hunt for the latest shiny platform is something that will have to be reconsidered by many, and we expect brands to start putting more time and effort into creating a quality experience on a smaller number of profiles in the new year. Brands are also looking at other technological breakthroughs to help them be more efficient in running social media marketing. The tools are becoming smart and marketers need “smart” help to squeeze the last possible juice from the organic opportunities. 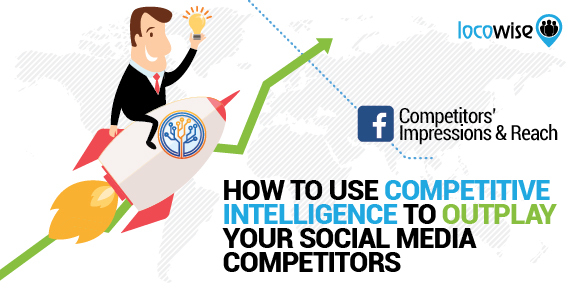 If an intelligent app can help you optimize your activities and gain 10% more reach and engagement in your organic performance, it will be difficult to say no considering how difficult it is to do well in social media today. NY Times have built an intelligent tool that can help them figure out which articles to post and promote in social media. There’s just not time enough in a day to promote every piece that they publish, so they have to be selective and smart when choosing what they push, where and when. A typical post chosen by this custom-made tool gets 380% more clicks than an average post. We can help with getting “smart” insights from your data too. Our work over the last year has focused on extracting insights from the data to help you make better data-informed decisions. Take a look at some of our machine learning features here and here. The way people communicate with computers is beginning to change. We’re entering a chat era for brands in messenger apps, but that era will soon be making way for the voice era. Thanks to the artificial intelligence, text-to-speech and speech-to-text are reaching the human level understanding, and making it possible to include voice in any technology. Voice recognition, facial recognition, translation and much more will be done faster, more reliable and cheaper than using traditional methods. Some brands have already entered the future. Here’s a view on how Coca-Cola uses AI in their social media and content marketing. Products such as Amazon Echo and Google Home are leading the way in this. And both Amazon and Google are trying to get their newest technology to as many entrepreneurs as possible. So don’t get surprised if you soon find yourself getting contacted by one of your favorite brands, speaking to you like a friend and asking you to reply back by sending them voice instructions. In 2017, the advances in machine learning, artificial intelligence and natural language processing will start powering more of the content production, will help brands make better decisions and be more live and up to the minute. Brands will be increasingly employing tools that help them automate (in a smart way) more and more of their social activities. 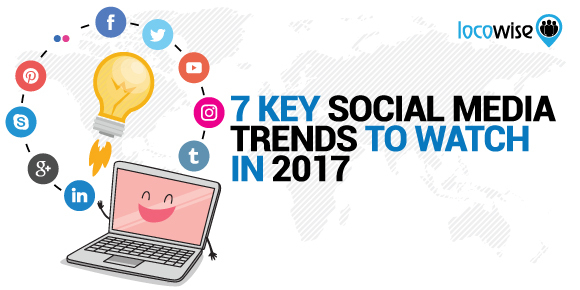 Don’t just read about these trends but think how to apply them to create something new for your brand that will help you reach more customers in the year 2017. May the next year be the best one yet for you and your company!